Thousands of people tuned in on Saturday, March 4, to watch NTD’s Facebook Live screening of “Hard to Believe,” an award-winning documentary that exposes the Chinese Communist Party’s (CCP) sordid practice of killing prisoners of conscience for their organs. From how the CCP got one doctor in China to kill a person for their organs to what the international community has been doing—or not doing—about the heinous practice, the film exposes how the CCP has gotten away with this for over a decade. It’s been broadcast on PBS stations around the country, but this was the first time it had been broadcast live on Facebook. Over 127,000 people tuned in for the live screening of the 56-minute film. In addition to the video, NTD held a Q&A with the producer of the film and two of the people who were featured in it. That had an even greater following, with over 180,000 views as of March 6. The film intended to raise awareness of CCP’s heinous practice, and it appeared to have that effect. People tuned in from the U.K., United States, Canada, Saudi Arabia, and Europe, among others. “Thank you so much for all your work in this area,” wrote another. Since its debut in 2015, the film has scooped up 14 awards from film festivals around the world. But more importantly, it’s being noticed by the medical community. It’s been called “extremely important” by the Journal of Bioethical Inquiry and “important, timely and deeply disturbing,” by bioethicist Arthur Caplan, the founding director of the division of medical ethics at New York University. It’s been shown around the world at conferences for medical professionals, in universities and grade schools, in churches, and for local legislators, and now for thousands of people on Facebook. This is the first time NTD has forayed into streaming films or movies, but it’s not going to be the last. 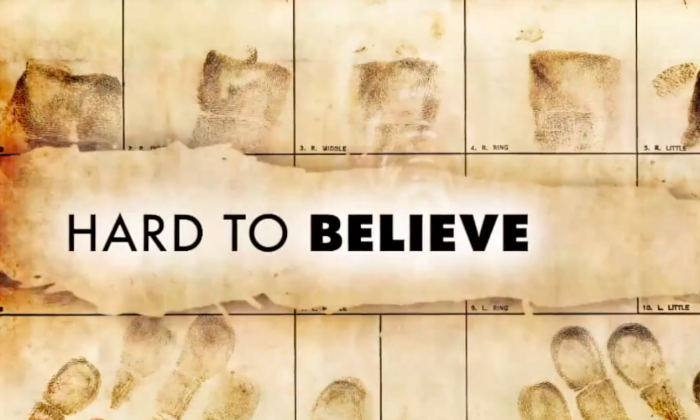 “Given the great interest and audience engagement around the Facebook premiere of ‘Hard to Believe,’ we’re excited to provide further important social programming on Facebook—stay tuned!” said John Tang, president of NTD. The movie is no longer available on NTD’s Facebook page, but it can be viewed on iTunes, Amazon, Kanopy, or by ordering a DVD at HardToBelieveMovie.com.